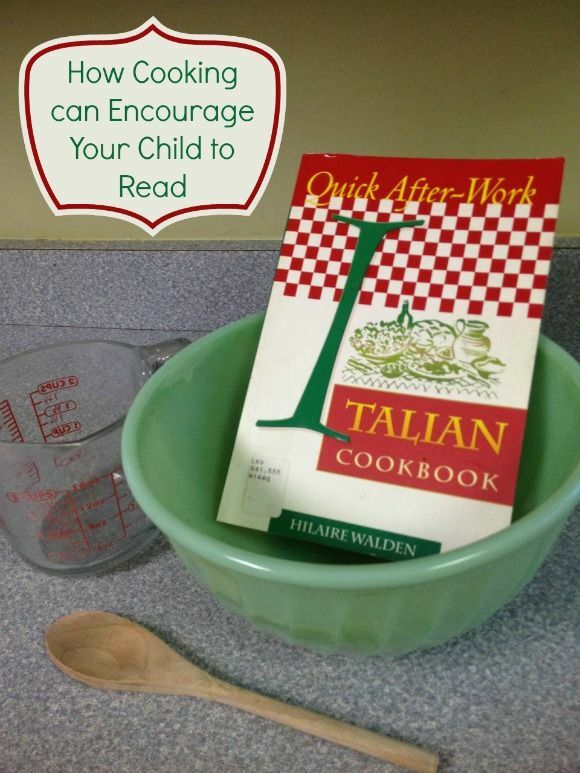 Learn how to use cooking to encourage your child to read! This post contains affiliate links. Cooking may seem like a hobby or just a boring part of everyday life to some, but to a child cooking in the kitchen with a parent is a super way to encourage reading and other important literacy skills. Cooking is able to provide this learning opportunity in a way that is fun, hands on, and exciting. If you are unsure where to start, or are not convinced yet that cooking can actually encourage children to read, take a look below at how it can do exactly that. If you have been looking for more unusual and exciting ways to encourage your child to read, take a look below at how some time in the kitchen can do exactly that! Gather your aprons, your cookbooks, and of course your child and get ready to head into the kitchen. You will find that teaching important literacy skills can be as easy as following a recipe together. Take a look. A simple cookbook or recipe cards. First, using your cookbook or recipe cards, choose a recipe together. You want to pick something your child will be excited about making as well as eating. Choose together something that excites you both. Choose your recipe by READING the options together. Invite her to read them to you and help her as needed. Once a recipe is chosen, have her read the ingredients to you. You want to be sure you have everything you need for the recipe, so reading this list is vital! Assist her as needed, writing down any needed ingredients. Gather your supplies, reading the labels of each item as you do and checking them off your list. Now it is time to cook! Read the directions together out loud. This is a great way to make sure you are completing each step as they are written. You will start to see your recipe take shape. Talk about why it is so important to be able to read directions to make sure you are creating the dish correctly. Now, while the dish is cooling/baking, talk about how reading was important when cooking this dish. What might have happened had you not been able to read the directions? Why is reading important when cooking? What other skills might be hard to master if you are unable to read? When your recipe is complete, it is time to dig in! Reading has its rewards, and now it is time to enjoy yours! You can extend this activity to encourage your child to read by further by using literacy skills to write your own recipes. Or, you and your child can write out a menu for the week. There are so many ways to encourage your child to read, and cooking in the kitchen is the perfect place to start. While you are at it, consider adding some cookbooks or culinary magazines to your child’s home library. As long as they are reading them, it does not matter that these books are not mystery, fiction, or fairy tales. The point is, they are reading! Take advantage of the interest they may have in culinary skills and recipes and be sure to put these sorts of texts in their hands. So that said, happy cooking, and reading! Check out our post on seven ways to encourage your child to read! Do you have any great tips? Great tips! Last year I let my son made gingerbreadman cookies on his own while I stood at the side with my camera snapping away! I gave minimum help and the cookies turned out delicious! So letting a child helps out in cooking does work as they really have to concentrate in getting the ingredients and proportions right otherwise the dish will not turn out well. DinoMama recently posted..One, Two, Three Birthday Celebrations! Cooking as a tool to learn to read is a great idea! Cooking AND reading are equally important! Well, maybe not equally, but knowing how to cook sure comes in handy lol! This is a great post! All four of my boys love to help me cook. Not only do we work on reading (with the younger one) but math using fractions with the older ones and general self sufficiency skills with all the kids. I always tell them, men aren’t the only ones who can be won over by their stomachs Thank you for visiting my blog today. I’ve been doing a lot more cooking with my kids this summer–it’s great for so many reasons!